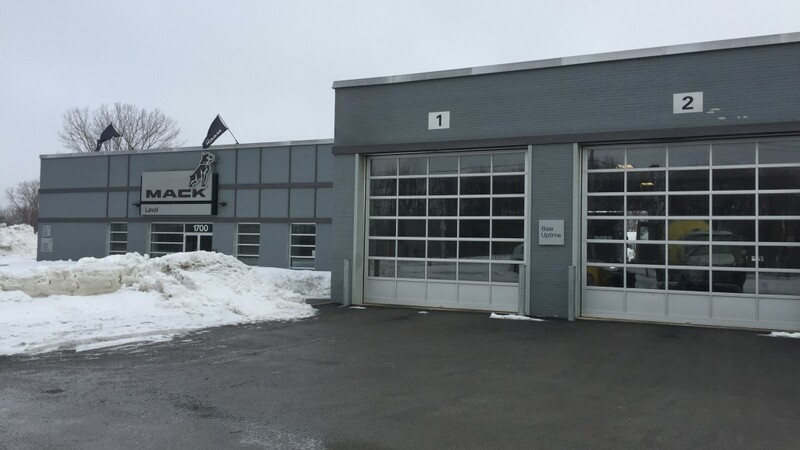 Mack Trucks announced today the certification of Montreal-based Mack Laval, its third Mack Certified Uptime Dealer in Quebec, Canada, and third French-language location. The accreditation confirms the dealer has met stringent requirements to better improve customer service and uptime. Mack made the announcement April 11 during ExpoCam at Place Bonaventure, Montreal. "Achieving three Certified Uptime Dealers in Quebec province is a significant stride toward Mack dealers having the ability to serve diverse customers speaking multiple languages with enhanced Uptime services," said David Pardue, vice president of connected services for Mack Trucks. "All three are able to serve French- and English-speaking customers." Mack Laval joins Centre du Camion Ste.-Marie, Inc. and Camions Montreal as Quebec-based Mack Certified Uptime Dealers. Mack began identifying dealerships that achieved the standard in January 2016. Redesigned service bays along with standardized workflows and processes at Mack Certified Uptime Dealers permit quicker repairs and improved customer service. "Uptime bays" reserved specifically for trucks requiring less than four hours of work for service and repairs enable the rapid diagnosis and repair of vehicles, increasing dealership efficiency and improving customer ROI. Results show that at the 139 Mack Certified Uptime Dealers, shop efficiency increased by 24 percent, check-in time was reduced by more than 40 minutes and diagnostic times decreased by 70 percent. Mack's Uptime Solutions, including Mack GuardDog Connect telematics and Mack ASIST service management system, are built into the Mack Certified Uptime Dealers' workflows.